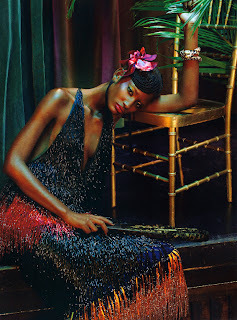 Vogue Italia assembles a cast of the fashion industry's leading top black models for an astonishingly beautiful editorial in the February 2011 issue. 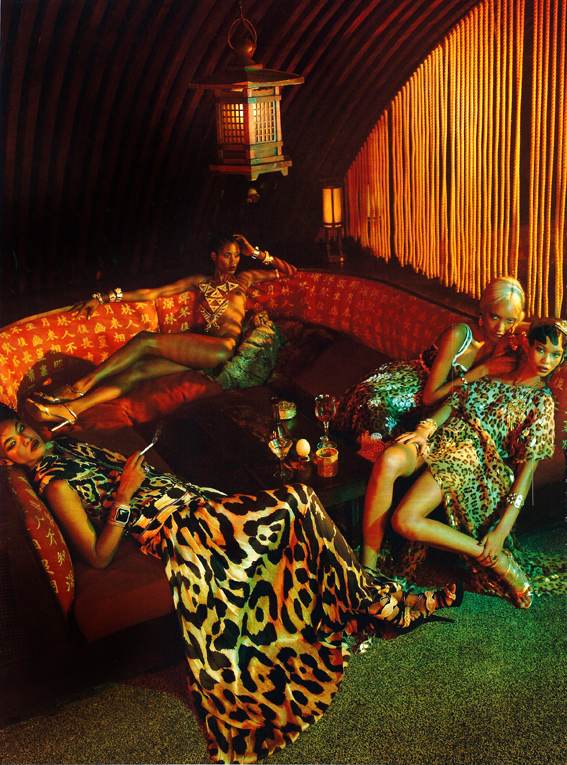 Shot by Emma Summerton and styled by Edward Enninful, the editorial entitled "Black Allure", plays host to a bevy of beauties including veteran models Chanel Iman, Jourdan Dunn, Arlenis Sosa, Aminata Niaria, and Sessilee Lopez, alongside newcomers; Rose Cordero, Joan Smalls, Melodie Monrose, Lais Ribeiro and Ajak Deng. 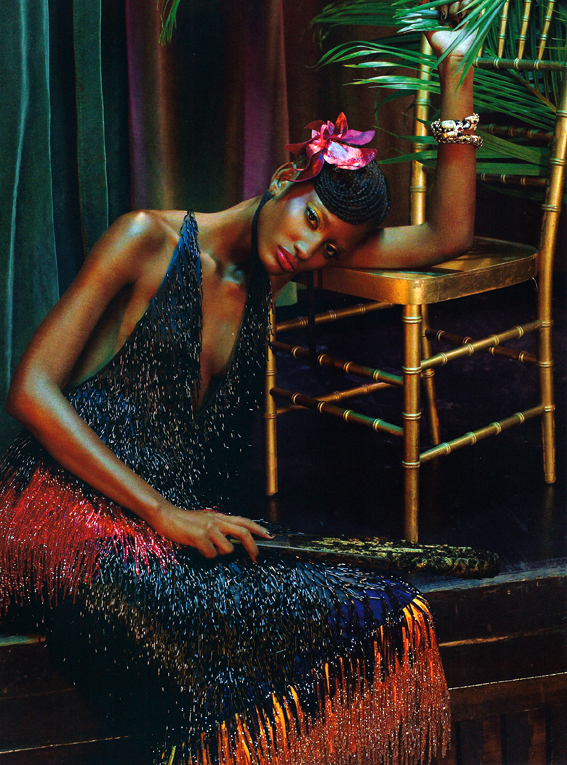 The hair, make-up, styling and fashions by Lanvin, Louis Vuitton, and Givenchy amongst others, allow the models to fully embody the feeling of sheer elegance and sophistication captured by Summerton.